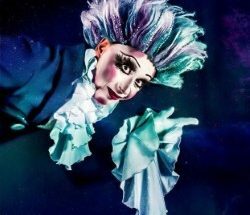 Cazeleon takes us on an emotional journey exploring identity and gender through a wonderful performance that combines theatre and drag. Cazeleon brilliantly acts out a silent movie of a wide-eyed child that is pushed away by his peers for not fitting into the typical stereotype expected from a boy. Finding escapism at the Picture House, Caz imagines a movie that sets herself free and enables her to take control of her life by killing off Caz to become Cazeleon, an ambitious actress seeking fame and fortune in the glamorous world of Hollywood. Cazeleon really channels her silver screen goddess with her mesmerising performance. 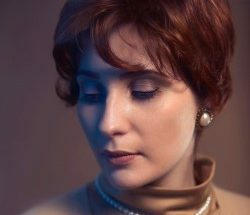 Her voice is amazing as she perfectly fits in songs by a wide range of artists such as Shirley Bassey, Nancy Sinatra and Duke Dumont as the drama unfolds. The story flows extremely well with a strong message of not being pushed into a box and having to comply with anyone else’s idea of who you should be. 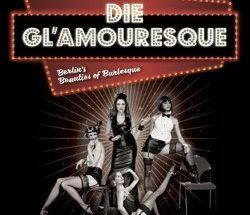 This is a superbly entertaining mix of Theatre and Cabaret.